Or maybe it was always there. I don't think I realized it until now, but I've been spending too much time in the light recently. I mean, sure, it's warm and comforting or whatever, but sometimes you just need to accept the cold embrace of darkness. Luckily for me, Aragami has a new expansion out today, so I have a legitimate reason to dip into the shadows for a bit. The expansion, Aragami: Nightfall, is the first batch of new content Lince Works has added to the game since its original release in late 2016. In it, players assume the role of one of two shadow assassins, Hyo or Shinobu, as they hunt down a mysterious alchemist in an attempt to bring back an old friend. The four new story chapters serve as a prequel to the events of Aragami and will likely provide some extra context to the main game. 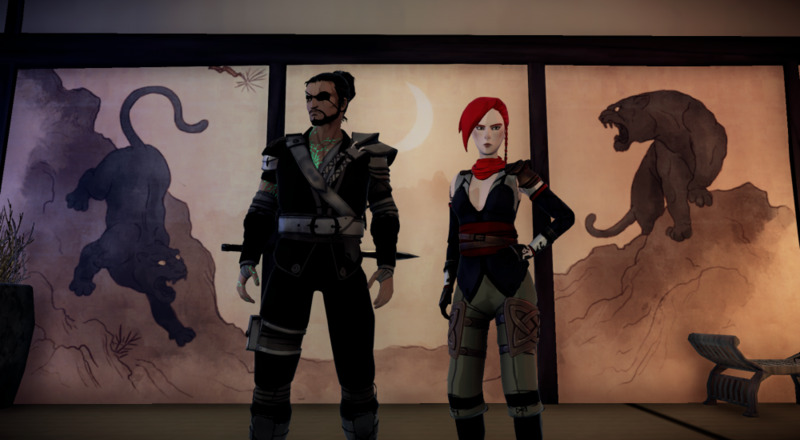 Aragami: Nightfall allows two players to work through the story together in online co-op. In order to help maximize the chances of finding a co-op partner, Lince Works has put the work in to make the online play cross-platform, so PC and PlayStation 4 players can link up if need be. Given the rate games seem to come out these days, it's understandable if Aragami has escaped your memory in the year and half since it was first released. Feel free to check out our review if you need a refresher before deciding whether or not the shadows are calling your name. Page created in 0.7694 seconds.